According to the teaching of Unconditional Election, God has already chosen who is saved and who is condemned. If we have no control over whether we receive or reject grace, someone can never truly know if they are saved or condemned. Therefore why does a Calvinist continue to worship and serve God if they don't know if they will be saved? Aren't they worshiping God in vain? If we have no control over whether we receive or reject grace, someone can never truly know if they are saved or condemned. Reformed theology teaches the doctrine of assurance of salvation, in addition to the doctrine of unconditional election. This doctrine teaches that we CAN know if we are truly saved or condemned. Q21: What is true faith? A21: True faith is not only a sure knowledge, whereby I hold for truth all that God has revealed to us in His Word, but also a hearty trust, which the Holy Ghost works in me by the Gospel, that not only to others, but to me also, forgiveness of sins, everlasting righteousness, and salvation are freely given by God, merely of grace, only for the sake of Christ's merits. It can also be found in the Westminster Confession of Faith, in Chapter XVIII: "Of Assurance of Grace and Salvation". Essentially, by seeing in ourselves the signs of salvation, we can know that we are saved. Based on this knowledge, we can from there continue to follow the commandments of God in the assurance that our worship is not in vain. It could be also argued that it is in every way preferable to continue to worship and obey God even when we doubt our own salvation. If you are elected, you will not want to sin or dwell in gross darkness. One is not saved because their works are good; their works are good because they are saved. Irresistible grace is the logical following, insomuch as their will is conducive towards God's good pleasure. They cannot lose their salvation and they cannot resist it, for this is the eternal security of the believer. Nobody who is truly saved will be permitted to dwell in darkness indefinitely. A good tree cannot bring forth evil fruit. It's an axiomatic matter of fact. The debt is paid and the sins remitted. The worshipping of God is not in vain; Christ's blood was effacacious for those ordained to eternal life, and the will to worship God is necessitated by one's salvation, rather than rendered obsolete or excused. Why do I cite this? Your question is very specific: why should someone worship God if they do not thereby receive any assurance of salvation? My answer will encompass this and every other question of the kind, "Why worship God if doing so will not earn me the blessing of - fill in the blank - ?" Assurance of salvation is just one such blessing. Others include long life, health, wealth, wisdom, respect, a good name, a happy family, etc. Job was systematically denied every benefit except life, yet he persevered in his faith. He continued to proclaim God's character, justice, mercy and greatness to his friends, even while they attacked him for being a sinner deserving punishment. “Oh, that my words were recorded, that they were written on a scroll, 24 that they were inscribed with an iron tool on lead, or engraved in rock forever! 25 I know that my redeemer lives, and that in the end he will stand on the earth. 26 And after my skin has been destroyed, yet in my flesh I will see God; 27 I myself will see him with my own eyes—I, and not another. How my heart yearns within me! Job held fast to an assurance of God's justice and mercy so powerful that even the dire circumstances of his life could not rob him of it. He did not have a written Bible or a legal contract or a prophecy or miracle to hold onto. His faith and continued worship of God in the absence of all those supports WAS HIS ASSURANCE. The kind of God that can reach through to us in the midst of the worst this world can offer is WORTHY of being worshiped. The kind of person that can love and worship God from such a place of pain offers a gift worthy of being called worship. Not the answer you're looking for? 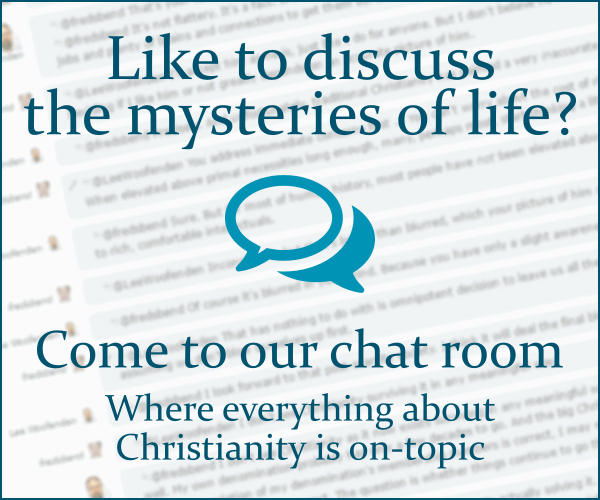 Browse other questions tagged soteriology reformed-theology unconditional-election or ask your own question. What does John 3:16 mean according to Calvinism?